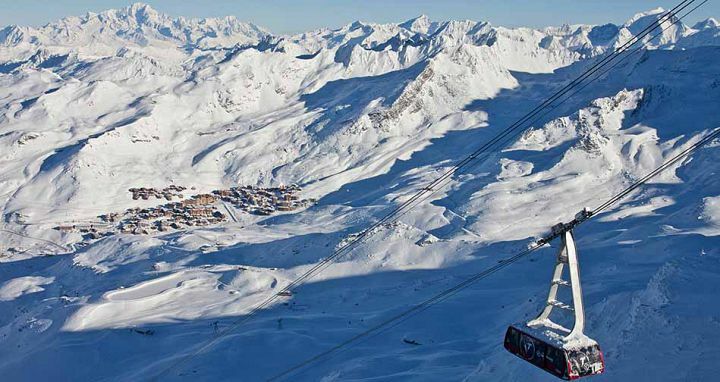 At 2300m (7545ft) above sea level, the purpose-built Val Thorens is Europe’s highest ski resort resulting in exceptional reliability of snow quality and a vast area of wide open pistes. Fortunately this is complemented by some excellent lift systems, access to the other 3 Vallées ski resorts, and plenty of ski-in ski-out accommodation, making it a great choice. A wide variety of slopeside accommodation. Excellent, fast lift systems, which includes three new lifts that opened during the 2013/2014 season. Extensive terrain suited to all abilities. The heart-stopping, two-minute long, 3230m-high zip-line that doubles as a chairlift across a huge valley. The 150-person cable car Cime de Caron rises 900m in just a few minutes. A purpose-built resort, the village is functional but lacks charm. Weather can often get socked in resulting in trying conditions and closed lifts. Queues can become long at peak times, at popular lifts. 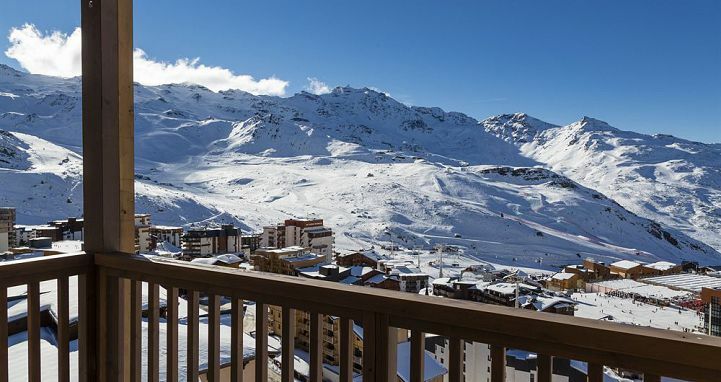 Nestled high in the Belleville Valley in the French Alps lies Val Thorens. It’s defined by a cluster of rather ugly hotel and apartment buildings that went up after the first lifts were built in the early 70s. Newer developments are bringing a more luxurious, refined style to the valley and when combined with big investment in lift systems in the past few years, it should make this destination more popular. 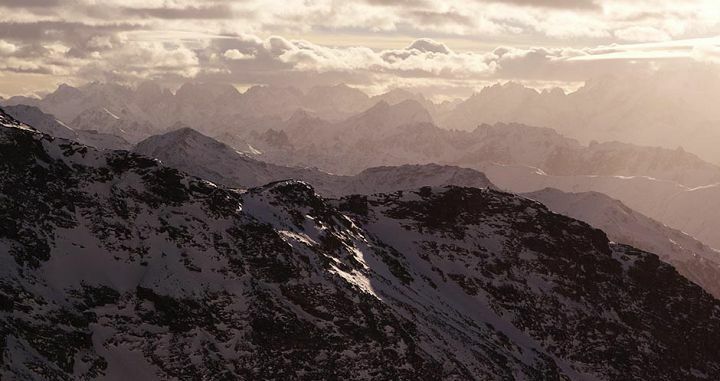 Val Thorens is where to come if you want a convenient and easy ski vacation with reliable snow conditions. 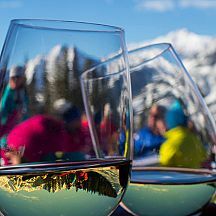 The added bonus is a vast and well-serviced ski area that is gentle enough for first-time skiers and challenging enough for experts, with everything in between. 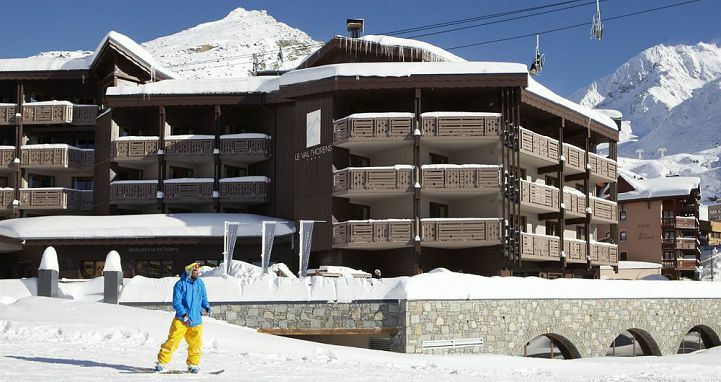 Val Thorens is situated next to Les Menuires ski resort in the next valley to Méribel and the further Courchevel Valley. The group forms the 3 Vallées ski area, which is the largest lift network in the world. 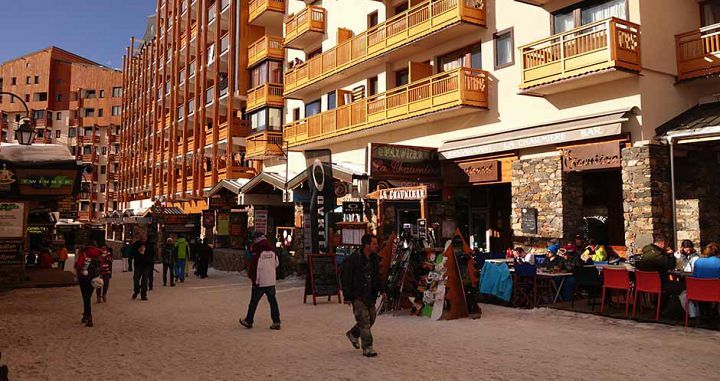 The village of Val Thorens is centered around the Place de Caron – a main “street” or snowy walkway where there’s a cluster of shops, restaurants and bars. On a nice day people love to sun themselves at one of the several terrace restaurants. From here there’s a moving carpet that takes people up to the slopes, making it relatively easy to get to and from the center of the village at any time of day. 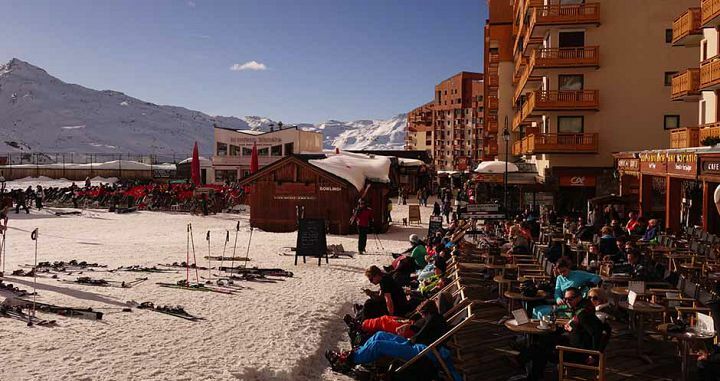 Val Thorens has a surprising variety of top-quality restaurants and a lively après scene. Like its neighbor, Méribel, there’s a La Folie Douce après club on the slopes, near the 3 Vallées tram, that kicks of early in the afternoon and attracts a huge crowd. With a base of 2300m, Val Thorens sits high above the tree line so the majority of the skiing here is on wide, groomed runs, with some interesting off-piste scattered around the peaks. The slopes face all directions, though with plenty of north-facing runs and two glaciers it is pretty much guaranteed good snow even late in the season. There are some good reds and gentle blue runs, including those that link to Méribel and Les Menuires, ensuring all standards of skiers can explore beyond Val Thorens. First-timers may be miserable in bad weather due to the cold and lack of visibility. If luck isn’t on your side with the weather you can always head down to Les Menuires which has a more protected beginner area. Over on the western side lies the Maurienne valley (ironically the fourth valley of 3 Vallées), which is a relatively new area offering some great skiing, particularly thanks to a new six-seater chairlift. The views here and from the top of the Thorens tram are simply spectacular - it’s where you can see a thousand summits in France, Switzerland and Italy. For expert skiers there’s some great off-piste, though enjoying these is pretty much limited to when there’s good visibility thanks to the abundance of rocks. There’s plenty within the resort that won’t require a guide, and even more to discover with a guide. Val Thorens has some excellent terrain park facilities and often hosts top-level snowcross competitions. There’s even a video camera at the snowpark that films you jumping, shows it on a big screen and allows you to download it and show off to the world – all for free! 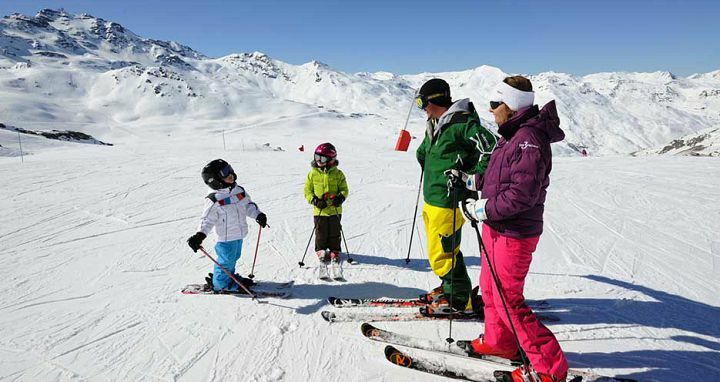 Just like Méribel and Courchevel, Val Thorens is accredited as a “Famille Plus” resort, meaning it fulfills certain criteria that make it family friendly. It’s great for families, in part because the resort is compact and easy to get around – with much of the accommodation being ski-in ski-out. But also because the services and activities they provide for kids are great; there are ski schools, kindergartens and childcare facilities at the base area, there’s a toboggan run, a children’s fun park at the sport center, and parts of the mountain are dedicated to kids. More details about family facilities are listed in our 3 Vallées Scout Field Guide. 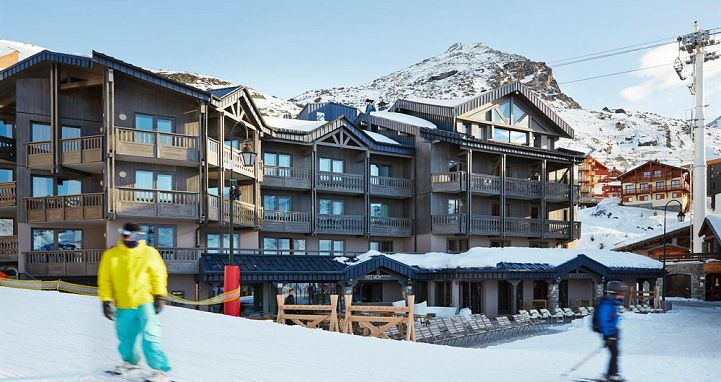 Compared to many purpose-built resorts with dated properties, Val Thorens has a relatively high standard of accommodation. Most of it consists of catered chalets, apartment buildings and a variety of hotels. Several big luxury hotels have opened in the past two years. All of the hotels are based around the center of the village, and are within walking distance. Most are ski-in and some also ski-out. Despite its high mountain location, Val Thorens still has a wide variety of activities on and off the snow, including some adrenaline-pumpers such as ice-driving, snow mountain biking, snow scootering, ski touring after the lifts close and a 6km toboggan track (the longest in France). Further, Val Thorens takes Scout’s vote for having what must be the most thrilling, extreme side activity in a ski resort anywhere in the world – the new zip-line that opened in March 2014. Stretching from the top of Orelle at 3230m across the valley to the Funitel de Thorens at 3000m, the 1300m long zip-line, called The Tyrolienne, is reportedly the highest in the world. 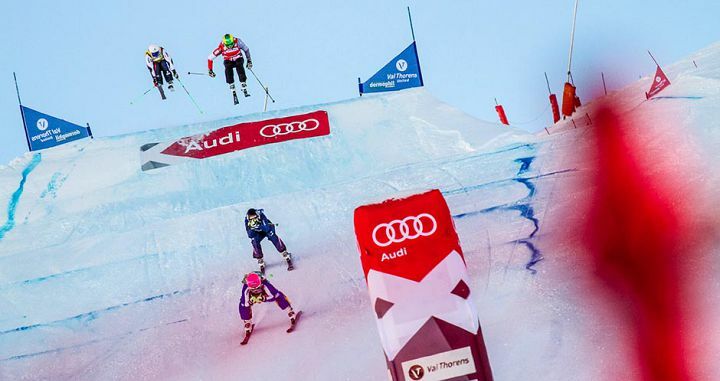 Skiers are harnessed in with their skis or boards strapped to their backs, and they take off and experience a full two minutes of terrifying flight at speeds of up to 105km/h. It also happens to be incredibly scenic, not that anyone will be calm enough to take in the views! The ride costs €50 and, if you can stomach it, we think it’s probably worth every cent (to our great sadness, it wasn’t open the day we went). 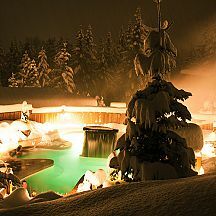 There are some more sedate activities such as snowshoe excursions, yurt evenings, and an aqua spa area with swimming pools, jacuzzis, saunas, steam bath and relaxation areas. The best way to get to Val Thorens is via bus transfer from the nearest main airports (Geneva and Lyon –three hours, Chambery and Grenoble – two hours) or via train to Moûtiers, 37kms from Val Thorens. There are direct trains to Moûtiers from London, Paris and Chambery. You can catch a taxi or bus from Moûtiers. Val Thorens (tries to be) a car-free environment. After unloading your car you must park in the allocated parking stations and shuttle buses return you to the resort. There is a free bus service within the resort and linking the different villages, as well as plenty of private taxis. Val Thorens has one of the longest seasons in France, opening at the end of November and operating until the first week of May.